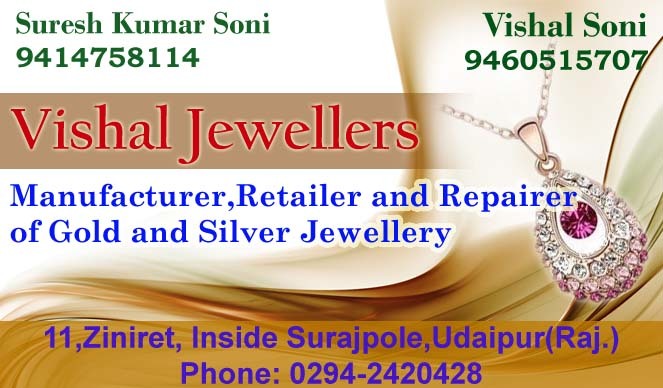 We are manufacturers, retailers and also repairers of Gold and Silver jewelery in Udaipur. 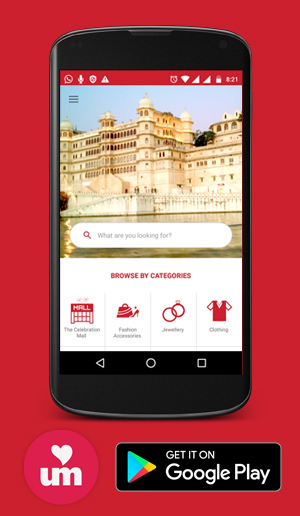 We are a well known and reputed shop in Udaipur for all kinds of jewellery and ornaments. We make ornate objects too. Vishal jewelers offers exclusive patterns and intricate and mesmerising designs to add to the beauty and prestige of the wearer. We keep up with the latest trends in the field of Gold and Silver jewelery and other precious metal objects. We are a jewellery shop in Udaipur. Make gold and silver jewellery. Payal, bichudiyan, mangalsutra, dhalma anguthi, birthstones available. We have in house gold and silver manufacturing unit with highly skilled workers. Our gold and silver designs are fashionable enough to give you adorable look. Warranty, Polishing , Special order for marriages and customized theme based designing for marriage.